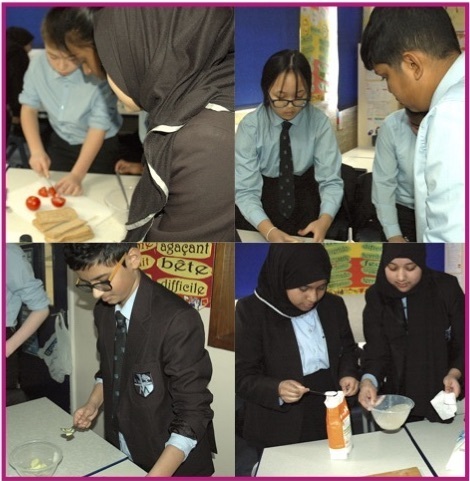 Year 8s took a culinary approach to learning Spanish in Ms Louca’s class by making dishes from Spanish speaking countries. Pupils made Guacamole (an avocado dip), Pan con tomate (tomatoes, garlic and olive oil on toast), and Granizada de limón (iced lemon slush). Their reaction? Most pupils loved the Guacamole and Granizada de limón but thought the Pan con Tomate had too much garlic in it........!